DURHAM, N.C. (WNCN) - Durham Police say they have arrested and charged two women who allegedly stabbed a security worker while they were shoplifting from a Durham mall in March. Police say the stabbing and shoplifting happened at The Streets at Southpoint Mall at 4:30 p.m. on March 31. "A loss prevention officer sustained serious injuries during a confrontation with two females who had allegedly been shoplifting," a news release said on Sunday. 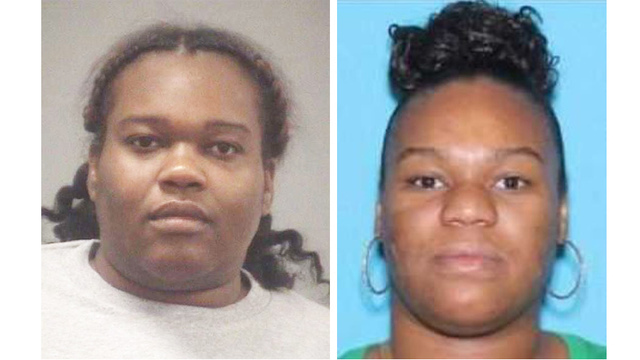 Initially, police said they were looking for Natoyia Barbee, 35. Now, Durham police say Barbee has been captured along with the other suspect, Latonya Williamson, 33, of Durham. Barbee was charged with robbery with a dangerous weapon in addition to assault with a deadly weapon inflicting serious injury. Williamson was charged with aiding and abetting robbery with a dangerous weapon in connection with the incident at The Streets at Southpoint. She was also arrested on outstanding warrants for felony larceny, possession of drug paraphernalia, possession of cocaine and possession of stolen goods. She was placed in Durham County Jail under a $36,000 bond. Barbee, who is also facing outstanding warrants from Wake and Durham counties, was placed in Durham County Jail under a $302,500 bond.